WARNING: Some information in this story may cause some readers to recall traumatic events from the recent past. If you are easily distressed by such information, you may wish to avoid reading it. A 32-year-old Taloyoak man faces a charge of murder following the death of his common-law spouse at a local residence, the Nunavut RCMP said yesterday evening in a news release. Police said they found the woman’s body June 8, the day before yesterday. Police said the exact cause of the woman’s death will be determined by a medical examiner—but the murder charge implies police already believe she died by homicide. Police did not identify the victim’s gender in their news release, but multiple sources in Taloyoak told Nunatsiaq News via email that they believe the woman died by domestic violence, at the hands of a partner. The 32-year-old man will appear in court June 26 at the Nunavut Court of Justice in Iqaluit, police said. Police did not say whether the charge is first or second degree murder. Investigators from the Nunavut RCMP “V” division’s major crime unit and forensic identification section, along with the Nunavut coroner’s office, are still in Taloyoak to look into the woman’s killing. “Our thoughts are with the victim’s family and friends at this difficult time,” police said. This appears to be Nunavut’s fifth death by homicide since Jan. 1, 2018. Three of those homicide deaths have led to murder charges against living adults, all of which are still before the courts. In the other two homicide deaths in Nunavut this year, no criminal charges can be laid because the perpetrators died by suicide. • Feb. 3: a 66-year-old Clyde River man died at the Qikiqtani General Hospital after he was found “in medical distress” on Feb. 1. Chris Jaypoody, 37, faces a second-degree murder charge. • March 6: a man died of undisclosed injuries at the Arctic Bay health centre. Andrew Muckpaloo, 30, faces charges of second degree murder, assault and breaching probation. 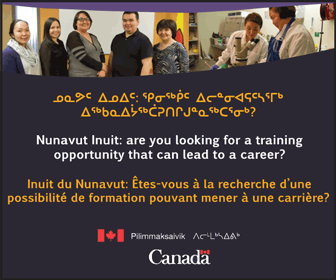 • May 6: a 22-year-old woman from Clyde River is found dead by homicide at the Tammaativvik medical boarding home in Iqaluit. Her 31-year-old domestic partner is later found dead by suicide. 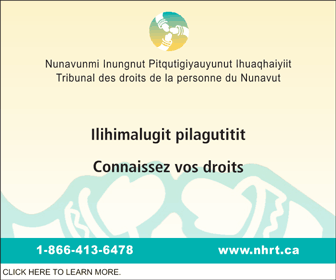 • May 27: a woman in Iqaluit died at Qikiqtani General Hospital from stab wounds after her domestic partner stabbed her outside a house on Nikku Lane. The man who killed her also dies at the hospital, of self-inflicted stab wounds. • June 8: a woman in Taloyoak is found dead at a local residence. Her 32-year-old domestic partner is charged with murder.